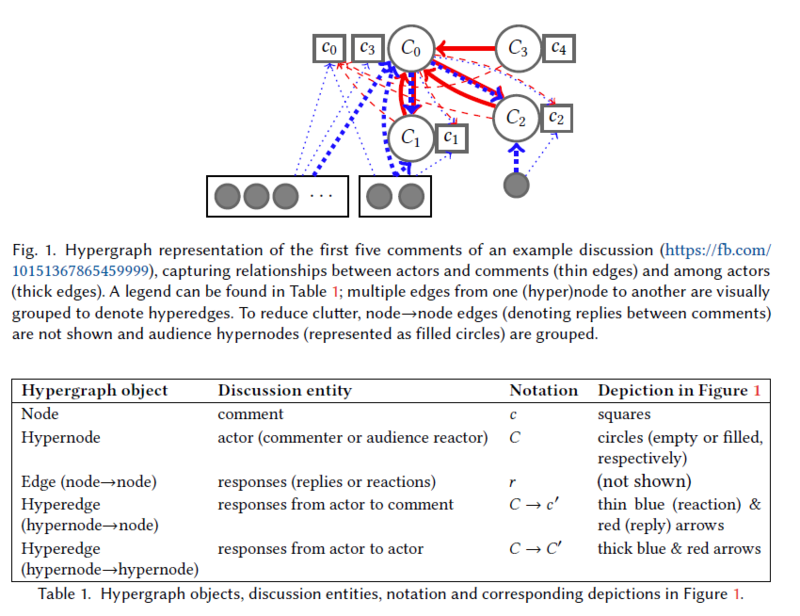 An important paper that lays out mechanisms for relating conversations into navigable spaces. To me, this seems like a first step in being able to map human interaction along the dimensions the humans emphasize. In this case, the dimensions have to do with relatively coarse behavior trajectories: Will a participant block another? Will this be a long threaded discussion among a few people or a set of short links all referring to an initial post? Rooted in the design affordances of facebook, the data that are readily available influence the overall design of the methods used. For example, a significant amount of the work is focussed on temporal network analytics. 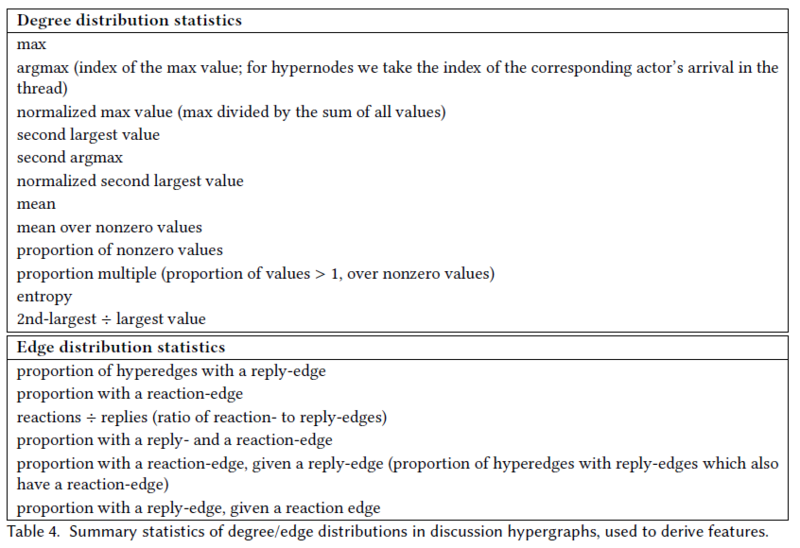 I think that these methods are quite generalizable to sites like Twitter and Reddit. The fact that the researchers worked at Facebook and had easy access to the data is a critical part of this studies’ success. For me the implications aren’t that surprising (I found myself saying “Yes! Yes!” several times while reading this), but it is wonderful to see then presented in such a clear, defensible way. Though this study is focussed more on building representations of behaviors, I think that the methods used here (particularly as expanded on in the Future Work section) should be extensible to mapping beliefs. The extensive discussion about how the design affordances of Facebook create the form of the discussion is also quite validating. Although they don’t mention it, Moscovici lays this concept out in Conflict and Consensus, where he describes how even items such as table shape can change a conversation so that the probability of compromise over consensus is increased. Lastly, I’m really looking forward to checking out the Cornell Conversational Analysis Toolkit, developed for(?) this study. This is why JuryRoom would be distinctly different. It’s unique affordances should create unique, hopefully clearer results. Quick responses that reflect a high degree of correlation would be tight. A long-delayed “like” could be slack? These are behavioral trajectories, though not belief trajectories. Maps of these behaviors could probably be built, too. Common starting point. Do they find consensus, or how the dimensions reduce? These are two sides of the same dimension-reduction coin. A focused thread should be using the dimension-reduction tool of open discussion that requires the participants to agree on what they are discussing. As such it refines ideas and would produce more meme-compatible content. Expansive threads are dimension reducing to the initial post. The subsequent responses go in too many directions to become a discussion. I can see that. The initial commenter is kind of a gate-keeper to the discussion. A low-dimension, incendiary comment that is already aligned with one group (“lock her up”), will create one kind of discussion, while a high-dimensional, nuanced post will create another. Yep, design matters. Diversity injection matters. Exactly right. High dimensional representations that can then be analyzed to uncover the implicit dimensions of interaction is the way to go, I think. This toolkit contains tools to extract conversational features and analyze social phenomena in conversations. Several large conversational datasets are included together with scripts exemplifying the use of the toolkit on these datasets. 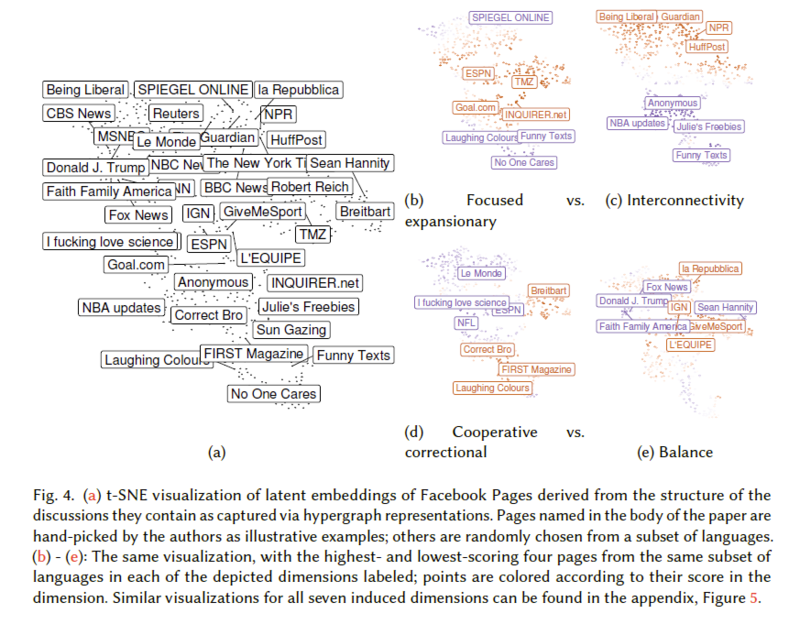 Predicting responses to microblog posts. From user comments to on-line conversations. This entry was posted in Data Analysis, Lit Review on November 21, 2018 by pgfeldman.